TALLAHASSEE, Fla. – Today, Governor Rick Scott announced the appointment of Gina Beovides to the Miami-Dade County Court. Beovides, 34, of Miami, has served as the Senior Staff Attorney at Dade Legal Aid since 2006. She has been a Civil Traffic Infraction Hearing Officer since 2011. 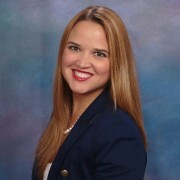 She began her legal career as an attorney with the Law Offices of Leon A. Brunet, P.A. in 2005. Beovides is a member of the Florida Bar Voluntary Bar Liaison Committee. Beovides received her bachelor’s and law degrees from the University of Miami. She fills the vacancy created by the appointment of Judge Charles Johnson to the circuit court.